Somewhere around 300,000 people converged on the Seattle waterfront Saturday and Sunday to attend the 19th annual Seattle Hempfest, the world's largest marijuana "protestival," as organizers like to call it. While organizers and drug reform advocates were out in force to encourage attendees to get involved in changing the marijuana laws, for most of the crowd, Hempfest was one big pot party. And that has some movement critics unhappy. Last year's attendance was estimated at 310,000. While figures are not yet in for last weekend's event, given the huge crowds, it is likely this year's figure will be even higher. With hundreds of vendors selling glass pipes, bongs, tie-dyes, and assorted other pot-related paraphernalia, as well as dozens of food vendors, with seven stages alternating musical acts with activist speakers, and with crowds so thick that people literally could not move at some points by mid-afternoon on both days, Hempfest seems more like a dense urban community than a festival. And like any urban community, Hempfest had a police presence, but as far as can be determined, police couldn't find anyone to arrest despite the ever-present scent of marijuana smoke in the air. That's in part because Seattleites voted in 2003 to make adult marijuana offenses the lowest law enforcement priority. But it is also in part because, unlike some other police forces, the Seattle police actually acknowledge and heed the will of the voters. In all of last year, Seattle police arrested only 133 people for marijuana possession -- and those were all people who had already been detained on other charges. It is that tolerant attitude toward marijuana that makes the massive law-breaking at Hempfest possible. In almost any other city in the US, such brazen defiance of the drug laws would almost certainly result in mass arrests. Even this weekend's Boston Freedom Rally, the second largest pro-marijuana event in the country, will see numerous arrests -- if police behavior in the past is any indicator. Drug reform organizations including NORML, Students for Sensible Drug Policy and StoptheDrugWar.org (publisher of this newsletter) were present with booths or tables, as were numerous medical marijuana support groups. But those booths and tables had to compete with bong-sellers and pipe-makers, t-shirt vendors and hippie couture outlets, and the hundreds of other vendors cashing in on the crowds. To really get the drug reform message out, Hempfest organizers and reform activists took to the various stages between acts to exhort audiences to make Hempfest a party with a purpose. Among the nationally known activists speechifying at Hempfest were "Radical Russ" Belville of NORML, Sandee Burbank of Mothers Against Misuse and Abuse, Mike and Valerie Corral of the Wo/Men's Alliance for Medical Marijuana (WAMM), Debbie Goldsberry of the Berkeley Patients Group, Washington state legislator and head of the Voluntary Committee of Lawyers Roger Goodman, medical marijuana specialist Dr. Frank Lucido, former medical marijuana prisoner Todd McCormick, cannabis scientist Dr. Robert Melamede, and NORML founder Keith Stroup and current executive director Allen St. Pierre. For a complete list of speakers, go here. Activists also educated those interested in learning more about marijuana law reform and related topics at the Hemposium tent, which featured panels on "Human Rights for Cannabis Farmers, Dispensers and Consumers," "Global Hempenomics," "Cannabliss: An Entheogen for the Ages," "Cannabis and the Culture Wars: The Coming Truce," and "Cannabis Coverage: Reefer Sanity for the 21st Century." For a complete list of Hemposium panels, click here. While Hempfest came off without any serious problems, it has sparked a couple of related controversies. 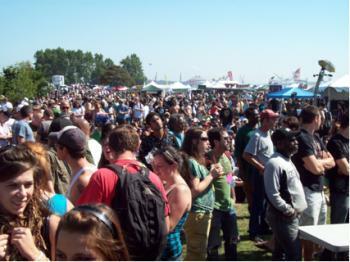 This week, Criminal Justice Policy Foundation head Eric Sterling wrote a blog post, Hempfest is Huge, But is It Good Politics?, in which he answered his own question with a resounding "no." Hempfest and similar rallies are "a political fraud," he wrote. Even worse, they are "advertisements for irresponsible drug use." Similarly, former Hempfest organizer Dominic Holden stirred the pot the week before Hempfest with an article in the Seattle Stranger, A Few Words About Hempfest, in which he complained it was a "patchouli-scented ghetto" and overly countercultural. Like Sterling, Holden saw the hippiesque trappings of Hempfest as counterproductive. "Countercultural celebrations and drug legalization advocacy are mutually undermining ambitions," he wrote. Hempfest organizers were not amused, and on Sunday, Holden was removed from the back of the Main Stage by unhappy erstwhile comrades. They explained why in an interview with Steve Bloom's Celebstoner, and Holden continued the spat with his own interview. 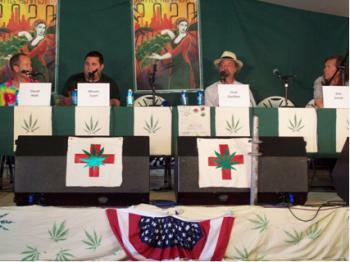 Perhaps the organizers of Hempfest and similar events will listen to Sterling and Holden, but probably not. Hempfest is a celebration of the pot-smoking counterculture, and it's not likely to go away or change its ways because a guy in a suit and a disaffected former friend are unhappy with how it operates. Straight-laced drug reformers will most likely just have to put up with Hempfest and its pot-happy ilk. They can treat it like the crazy aunt in the attic, but they can't get rid of it. Marijuana prohibition has not achieved its goals, but has inflicted significant costs on society and individuals, a pair of University of Washington researchers concluded in a report released last week. And all for naught, they suggest, because decriminalizing pot or deprioritizing marijuana law enforcement does not appear to lead to higher levels of marijuana use. The report, The Consequences and Costs of Marijuana Prohibition, was written by sociologist Katherine Beckett and geographer Steve Herbert, both associate professors in the University of Washington's Law, Societies, and Justice Program. Using data analysis and in-depth interviews, they compared the fiscal, public safety, and human costs of marijuana prohibition. The scholarly duo found that the domestic portion of the federal drug control budget more than doubled in the 1990s, to more than $9.5 billion in 2001, with marijuana arrests accounting for nearly all the increase in drug arrests in that decade. With some 28,000 people imprisoned on marijuana charges in state or federal prison, that's an additional $600 million a year in incarceration costs borne by state and federal governments. Despite the spike in marijuana arrests in recent years -- now more than 800,000 a year -- marijuana prohibition has signally failed to produce the desired results. Instead, the researchers found, the price of pot has dropped, the average potency has increased, as has availability, and use rates have often increased despite escalating enforcement. "The report finds that the 'war on marijuana' is quite costly in both financial and human terms, and the prohibition of marijuana has not measurably reduced its use. This is a clear call for us to reconsider our laws and policies on marijuana," said Alison Holcomb, ACLU of Washington drug policy director. What does not cause marijuana use rates to increase, said the researchers, are reformist policies. Areas that have decriminalized simple possession, deprioritized marijuana law enforcement, or that allow for medical marijuana have not seen increases in use rates, they found. Work is getting underway in Kalamazoo, Michigan, on getting an initiative making adult marijuana possession offenses the lowest law enforcement priority on the ballot, the Kalamazoo Gazette reported Monday. The effort is being led by Michigan NORML. Lowest priority initiatives have become an increasingly popular way to advance the marijuana reform cause since the effort was pioneered in Seattle in 2003. Since then, a half-dozen California communities, Denver, and Eureka Springs and Fayetteville, Arkansas, among others, have passed similar initiatives. Although ballot language is not yet final, organizers hope to have the issue on the November ballot. 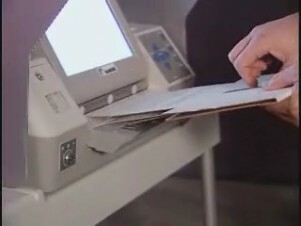 They will have to gather at least 1,273 valid signatures of registered city voters by August 14, a task organizers said they could accomplish easily. Once enough valid signatures are submitted, the Kalamazoo City Commission would have 14 days to either adopt the ordinance or put it before the voters. Kalamazoo was chosen because it is "a progressive city with motivated activists on the ground," said Greg Francisco, director of MINORML's Southwest Michigan chapter. "Anyone who wants to use marijuana can already find it," Francisco said. Unsurprisingly, local law enforcement is not amused. "This is a silly idea," Kalamazoo Valley Enforcement Team commander Capt. Joseph Taylor told the Gazette. "It's a roundabout way of circumventing the more difficult process of getting marijuana legalized," he said, adding that marijuana is a "gateway drug" and that violent dealers have migrated from crack cocaine to weed because of lower criminal penalties. Feature: Big Day for Pot -- Decriminalization Wins in Massachusetts, Medical Marijuana in Michigan, All Local Initiatives Win, Too! Barack Obama wasn't the only big winner in Tuesday elections; marijuana polled just as well, if not better. A medical marijuana initiative in Michigan -- the first in the Midwest -- and a decriminalization initiative in Massachusetts both won by convincing margins, and scattered local initiatives on various aspects of marijuana policy reform all won, too. In both the statewide initiatives, reform forces overcame organized opposition on their way to victory, mostly from the usual suspects in law enforcement and the political establishment. Michigan enjoyed the dubious distinction of a visit from John Walters, the drug czar himself, who popped in to rail against medical marijuana as "an abomination." "We could be seeing a sea change in more ways than one in this election," said Bruce Mirken, communications director for the Marijuana Policy Project (MPP), which backed both state initiatives. "These are not just wins, but huge wins. In two very blue states, marijuana reform outpolled Barack Obama. At this point, we can look members of Congress in the eye and ask them why exactly they think marijuana reform is controversial." The results are also an indicator of the decreasing influence of the drug czar's office, said Mirken. "A clear public mandate has emerged, and it's particularly noteworthy coming as it does after eight years of the most intense anti-marijuana campaign from the feds since the days of Reefer Madness," he said. "Despite all the press releases and press conferences, despite all the appearances and campaigning Walters has done to try to convince Americans that marijuana is some sort of scourge, the voters just said no." In Michigan, the medical marijuana initiative organized by the local Michigan Coalition for Compassionate Care and backed in a big way by MPP won a resounding 63% of the vote. Michigan's new medical marijuana law will go into effect quickly -- ten days after the elections are certified, with the Department of Community Health having 120 additional days to come up with regulations for a registry. The law will allow patients suffering from HIV/AIDS, cancer, glaucoma and other conditions to obtain a doctors' recommendation to cultivate, grow, and possess marijuana without fear of prosecution under state law. Registered patients may possess up to 2.5 ounces of usable marijuana and have up to 12 plants in a secure indoor facility, or they may designate a caregiver to grow it for them. "Michigan voters have clearly signaled in no uncertain terms their support for a compassionate medical marijuana law," the committee said in a victory statement Tuesday night. "Our opposition threw the kitchen sink at us, hoping one of their false claims and outright lies would cost enough votes to tank this effort. But Michigan voters saw through the deception, and soon numerous seriously ill patients across the state will no longer need to live in fear for taking their doctor-recommended medicine." Tuesday's win makes Michigan the 13th medical marijuana state, and, more importantly, the first one in the Midwest. The Michigan victory means planned or ongoing efforts in states like Wisconsin, Ohio, Minnesota, and Illinois just got a little easier. In Massachusetts, Question 2, the marijuana decriminalization initiative, overcame the opposition of every district attorney in the state to win a resounding 65% of the vote. Now, instead of an arrest and possible six months in jail, people in the Bay State caught with less than an ounce of marijuana will face a simple $100 fine. Equally importantly, small-time possession offenders will not be saddled with a Criminal Record Information Report (CORI), a state arrest report that lingers long after the offense and can impede an offender's ability to obtain jobs, housing, and school loans. Again backed by MPP, the Bay State's Committee for Sensible Marijuana Policy (CSMP) took the organizing lead in Massachusetts this year. Building on nearly a decade's worth of winning local questions on marijuana policy reform by groups like the Drug Policy Forum of Massachusetts and the state NORML affiliate, MassCann/NORML, the committee was able to go over the top statewide with decrim this year. "It's great to see the people of Massachusetts were able to see what a sensible, modest proposal Question 2 is," said CSMP head Whitney Taylor. "It's going to end the creation of thousands of new people being involved in the criminal justice system each year and refocus law enforcement resources on violent crime." While some prosecutors are already whining about having to implement the will of the voters, there appears little chance that legislators will attempt to step in and overturn the vote, as they could do under Massachusetts law. A spokesman for House Speaker Sal DiMasi told local WBZ-TV as much Wednesday afternoon. "Question 2 now has the force of law and the Speaker sees no reason to consider a repeal or amendment at this time," said David Guarino, DiMasi's deputy chief of staff. Statewide decrim wasn't the only marijuana-related issue on the ballot for some Massachusetts voters. Continuing the tradition of placing questions on representative district ballots, voters in four districts were asked: "Shall the state representative from this district be instructed to vote in favor of legislation that would allow seriously ill patients, with their doctor's written recommendation, to possess and grow small amounts of marijuana for their personal medical use?" As with past medical marijuana questions, the question passed overwhelmingly in all four districts. The question passed with 74% In the 1st Middlesex Representative District (R – Robert S. Hargraves), 71% in the 21st Middlesex Representative District (D – Charles A. Murphy), 73% in the 13th Norfolk Representative District (D – Lida E. Harkins), and 71% in the 6th Plymouth Representative District (R – Daniel K. Webster). Berkeley, California's, Measure JJ, essentially a zoning initiative that would allow dispensaries operating in the city to expand into more non-residential districts, won with 62% of the vote. The campaign was organized by Citizens for Sensible Medical Cannabis Regulation. In Hawaii County, Hawaii (the Big Island), a lowest law enforcement priority initiative for adult marijuana possession won with 66% of the vote. The campaign organized by Project Peaceful Skies was an outgrowth of the movement to end intrusive marijuana eradication raids. In Fayetteville, Arkansas, another lowest priority initiative passed. Some 62% of voters in the Northwest Arkansas college town agreed with Sensible Fayetteville and its director, Ryan Denham, that police had better things to do than bust pot smokers. Sensible Fayetteville itself is an umbrella organization including the Alliance for Drug Reform Policy in Arkansas, The Omni Center for Peace, Justice & Ecology, the Green Party of Washington County, University of Arkansas NORML and the Alliance for Reform of Drug Policy in Arkansas Inc.
"We think these election results send an extremely important message," Denham told the Northwest Arkansas Times Wednesday. "I'm not surprised since national statistics say that 70% of Americans feel that misdemeanor marijuana offenses should be a low priority. It clogs courts and jails and puts a burden on taxpayer resources." Election day was a good day for marijuana reform. Let's hope that activists and politicians alike are now prepared to press for more in the near future. With election day little more than a month away, it is time for a round-up of drug policy reform initiatives facing voters in November. Not only are there a number of state-level initiatives dealing with marijuana decriminalization, medical marijuana, and sentencing reform (or its opposite), there are also a handful of initiatives at the county or municipal level. But after a spate of drug reform initiatives beginning in the mid-1990s and continuing into the beginning of this decade, the pace has slowed this year. Of the 139 statewide initiatives identified by the Initiative and Referendum Institute as making the ballot this year, only seven have anything to do with drug reform, and four of those seek to increase sentences for various drug offenses. Drug reformers have had an impressive run, especially with medical marijuana efforts, winning in Alaska, Arizona, California, Colorado, Maine, Montana, Nevada, Oregon, and Washington, and losing only in conservative South Dakota. Reformers also scored an impressive coup with California's "treatment not jail" initiative, Proposition 36, in 2002. At the municipal level, initiatives making adult marijuana offenses the lowest law enforcement priority have won in cities across California; as well as Denver; Seattle; Missoula County, Montana; Eureka Springs, Arkansas; and Hailey, Idaho. Detroit and several smaller Michigan cities have also approved municipal medical marijuana initiatives. One reason for the slow-down in reformers' resort to the initiative process is that, as Marijuana Policy Project assistant communications director Dan Bernath put it, "We've already grabbed all the low-hanging fruit." While medical marijuana initiatives have had an impressive run, the remainder of the 22 initiative and referendum states -- Arkansas, Idaho, Illinois, Massachusetts, Missouri, Nebraska, North Dakota, Ohio, Oklahoma, Utah, and Wyoming -- present a more difficult social and political terrain, in most cases. Running a successful initiative is also costly, said Bernath. "Only half the states have initiatives, so there are only so many places where reformers can push them," he said. "And it is an expensive process that is often complicated. On the other hand, you don't have to rely on timid politicians. The voters are often way out in front of politicians on marijuana reform initiatives, and with an initiative, you don't have to worry about those timid politicians tinkering with your legislation and taking all the teeth out of it," Bernath noted. "As a general rule, I think most reformers would prefer to see something passed by the voters, that gives it a lot of legitimacy." And that's just what reformers are trying to do with medical marijuana in Michigan and marijuana decriminalization in Massachusetts this year, both of which appear poised to pass. Likewise, in California, reformers are seeking to expand and deepen Prop. 36, but they also face a pair of sentencing initiatives aimed at harsher treatment of drug offenders. And next door in Oregon, anti-crime crusaders also have a pair of initiatives aimed at punishing drug offenders -- among others. CALIFORNIA: It's the battle of the crime and sentencing initiatives, with Proposition 5, the Nonviolent Offender Rehabilitation Act (NORA) going up against a pair of initiatives headed in the other direction. Building on the success (and limitations) of 2002's Prop. 36, Prop. 5 would expand the number of drug offenders diverted from prison into treatment, expand prison and parole rehabilitation programs, allow inmates earlier release for participating in such programs, and cut back the length of parole. It would also decriminalize the possession of up to an ounce of marijuana. Led by the Drug Policy Alliance Southern California office, the Yes on Prop. 5 campaign has won broad support from drug treatment professionals, with the notable exception of drug court advocates. But it also faces opposition, not only from the drug court crew and the usual law enforcement suspects, but also actor Martin Sheen and several prominent newspaper editorial boards. No polls on Prop. 5's prospects have been released. See our earlier in-depth reporting on Prop. 5 here. Proposition 6, the Safe Neighborhoods Act, is primarily aimed at gang members, violent criminals, and criminal aliens, but also includes provisions increasing penalties for methamphetamine possession, possession with intent, and distribution to be equal to those for cocaine, and provides for the expulsion from public housing of anyone convicted of a drug offense. The measure also mandates increased spending for law enforcement. Read the California League of Women Voters' analysis of Prop. 6 here. Proposition 9, also known as the Crime Victims Bill of Rights Act, unsurprisingly is concerned mostly with "victims' rights," but also includes provisions that would block local authorities from granting early release to prisoners to alleviate overcrowding and mandates that the state fund corrections costs as much as necessary to accomplish that end. It would also lengthen the amount of time a prisoner serving a life sentence who has been denied parole must wait before re-applying. Currently, he must wait one to five years; under Prop. 9, he must wait three to 15 years. Prop. 9 would also allow parolees who have been jailed for alleged parole violations to be held 15 days instead of the current 10 before they are entitled to a hearing to determine if they can be held pending a revocation hearing, and stretches from 35 to 45 the number of days they could be held before such a hearing. These last two provisions, as well as one limiting legal counsel for parolees, all conflict with an existing federal court order governing California's procedures. Read the California League of Women Voters' analysis of Prop. 9 here. Ironically, both "tough on crime" initiatives have received significant funding and support from Henry Nicholas, the co-founder and former CEO of Broadcom. Nicholas has reportedly contributed at least $5.9 million to the initiatives. That was before he was indicted in June on federal fraud and drug charges. His indictment alleges that he kept properties for drug parties, supplied methamphetamine and cocaine to friends and prostitutes, and spiked technology executives' drinks with Ecstasy. MICHIGAN: Michigan is poised to become the first medical marijuana state in the Midwest. An initiative sponsored by the Michigan Coalition for Compassionate Care and appearing on the ballot as Proposition 1 would allow patients suffering from debilitating medical conditions including cancer, glaucoma, HIV, AIDS, hepatitis C, MS and other conditions as may be approved by the Department of Community Health to use marijuana with a doctor's recommendation. It would require the department to create an ID card system for qualified patients and their designated caregivers and would allow patients and caregivers to grow small amounts of marijuana indoors in a secure facility. It would also permit both registered and unregistered patients and caregivers to assert a medical necessity defense to any prosecution involving marijuana. A poll released this week showed the measure gaining the approval of 66% of voters. Read our earlier analysis of the initiative and campaign here. OREGON: While medical marijuana activists are working on a dispensary initiative for 2010, perennial Oregon "crime fighter" Kevin Mannix is once again looking to throw more people in prison. Ballot Measure 61, "Mandatory Sentences For Drug Dealers, Identity Thieves, Burglars, And Car Thieves," is pretty self-explanatory. It would impose mandatory minimum sentences for the manufacture or delivery of cocaine, heroin, or methamphetamine of 36 months in some cases and 30 months in others. It also lays out similar mandatory minimums for the other criminal offenders listed above. Mannix originally included a provision attempting to supplant the Oregon Medical Marijuana Program, but dropped it when it became apparent it could drag down the entire initiative. Another measure initiated by the legislature and referred to the voters, Ballot Measure 57, would also increase penalties for the sale or distribution of cocaine, heroin, methamphetamine, and Ecstasy. It sets a sentencing range of 34 months to 130 months, depending on the quantity of the drug involved. The measure would also require drug treatment for certain offenders and impose sanctions for those who resist, provide grants to local jurisdictions for jails, drug courts, and treatment services, and limit judges' ability to reduce sentences. BERKELEY, CALIFORNIA: In Berkeley, Measure JJ seeks to broaden and regularize medical marijuana access. Supported by the Berkeley Patients Group and at least two city council members, the measure would expand the non-residential zones where dispensaries can locate, create an oversight commission including representatives from each of the three existing collectives to promulgate standards and determine whether relocating or future operators are in compliance, issue zoning certificates by right if operators meet standards, and bring Berkeley possession limits in line with recent state court rulings determining that such limits are unconstitutional. The ballot argument in favor of the measure can be viewed at the link above; no ballot argument opposing the measure has been submitted. FAYETTEVILLE, ARKANSAS: The local grassroots organization Sensible Fayetteville is sponsoring an initiative that would make enforcement of adult marijuana possession laws the lowest law enforcement priority. It also includes language mandating city officials to write an annual letter to their state and federal representatives notifying them of the city's position and urging them to adopt a similar one. If the measure passes, Fayetteville will become the second Arkansas community to adopt such an ordinance. Nearby Eureka Springs did so in 2007. FERNDALE, MICHIGAN: Ferndale passed a medical marijuana initiative in 2005, but this year a shadowy group known as the National Organization for Positive Medicine has placed an initiative on the ballot that would allow for the distribution of medical marijuana, but only by the National Organization for Positive Medicine. The initiative is not affiliated with the statewide medical marijuana initiative. HAWAII COUNTY, HAWAII: Hawaii's Big Island (Hawaii County) will be voting on an initiative making adult marijuana possession offenses the lowest law enforcement priority. Ballot Question 1 not only makes adult possession offenses the lowest priority, it would also bar county law enforcement officials from accepting federal deputization or commissions to enforce laws in conflict with the initiative, prohibits the County Council from accepting or spending funds to enforce adult marijuana possession laws, and bar the County Council from accepting any funds for the marijuana eradication program. The initiative is sponsored by Project Peaceful Sky, a local grassroots organization whose name alludes to the disruption of tranquility caused by law enforcement helicopters searching for marijuana. Alright, potential voters, there you have it. See you at the polls November 4. MASSACHUSETTS: The Committee for Sensible Marijuana Policy is sponsoring an initiative that would decriminalize the possession of up to an ounce of marijuana. Known as Question 2 on the November ballot, the initiative builds on nearly a decade's worth of work by local activists who ran dozens of successful ballot questions directed at individual representatives. Question 2 looks like almost a sure winner; it garnered 72% support in a mid-August poll. Still, late-organizing opposition has formed, primarily from the usual suspects in law enforcement and prosecutors' offices. See our earlier analysis of Question 2 here. 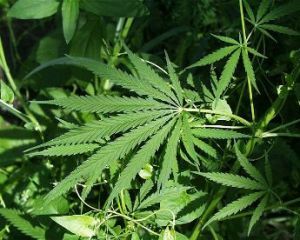 Fayetteville, Arkansas, will be the latest locality to vote on an initiative that would make adult marijuana possession offenses the lowest law enforcement priority. City officials certified late last week that, after a second round of signature-gathering, initiative organizers had indeed collected more than enough valid signatures to place the measure on the November 4 ballot. Sponsored by Sensible Fayetteville, the initiative would "make investigations, citations, arrests, property seizures, and prosecutions for adult marijuana and marijuana paraphernalia offenses, where the marijuana was intended for adult personal use, the City of Fayetteville's lowest law enforcement and prosecutorial priority." It would also require city officials to write annual letters to state and federal authorities calling for the reform of marijuana laws. According to Sensible Fayetteville, 402 people were arrested on marijuana possession charges in Fayetteville in 2005 alone, while the state of Arkansas spends $30 million a year enforcing marijuana laws. Marijuana arrests "clog the courts and jails" and policing resources "would be better-spent fighting serious and violent crimes," the group said. But it looks like Fayetteville prosecutors and police, as well as University of Arkansas police, are going to ignore the will of the voters if the measure passes. The city attorney said that marijuana possession is a Class A misdemeanor under state law, and that a municipal ordinance cannot supersede state law, while city and college police chiefs said they would continue to enforce state law. "From a legal point of view, this ordinance has no effect," City Attorney Kit Williams told the Arkansas Traveler. "It would be like if we passed an ordinance saying we weren't going to enforce drunken driving laws," Williams said. "We would still have to enforce them." Spokesmen for the University of Arkansas Police Department and the Fayetteville Police also told the Traveler they would continue to enforce state law. But supporters of the initiative said passage would be an historic move. "When we pass an initiative like this, we send a message that we will no longer accept inaction," said Jacob Holloway, field organizer for Sensible Fayetteville. "By bringing light to this issue, we can change not only local laws but state and federal laws, as well." "This is an opportunity for the people of Fayetteville to say that the drug laws need to be changed," said Ryan Denham, campaign director for Sensible Fayetteville. But if the comments from prosecutors and law enforcement are any indication, a victory at the polls in November will be only the first step in gaining actual reform of the city's marijuana policy. Still, you have to start somewhere. Fayetteville, AR: Fayetteville voters will have the choice on Election Day to vote on making adult marijuana possession the lowest police priority. Sensible Fayetteville initiative sponsors turned in just over 1000 additional signatures on August 29 to meet a shortfall of 310 valid signatures. City Clerk Sondra Smith contacted campaign coordinator Ryan Denham today to say that the petition has qualified with over the total of 3686 signatures required. Denham praised the city clerk and staff for their professional conduct and courtesy during the laborious verification process. "They worked hard. We were impressed by city operations." "Now we turn our attention to providing more in-depth information to the voters leading up to Election Day. This initiative offers residents an important opportunity to help guide Fayetteville's future through better allocation of our resources. It also shows that Fayetteville is willing to take a leadership role among other cities across the nation in addressing failed public policy. And we believe this will benefit Fayetteville's largest industry, the University of Arkansas, by reducing the number of students penalized with loss of financial aid for marijuana prosecutions. We respect the dedication of our police and prosecutor and believe this measure spells out the public's full support for their use of enforcement discretion." Sensible Fayetteville formed in 2007 as a coalition of OMNI Center for Peace, Justice, & Ecology, the Green Party of Washington County, the University of Arkansas student group NORML-SSDP, and the Alliance for Reform of Drug Policy in Arkansas, Inc. The measure, entitled "Lowest Law Enforcement and Prosecutorial Priority Policy Ordinance," would require Fayetteville police and prosecutor to treat adult marijuana possession offenses as their lowest priority. Further, the measure requires the city clerk to send an annual letter to state and federal legislators, governor, and president stating: "The citizens of Fayetteville have passed an initiative to de-prioritize adult marijuana offenses, where the marijuana is intended for personal use, and request that the federal and Arkansas state governments take immediate steps to enact similar laws." This duty shall be carried out until state and federal laws are changed accordingly. The full text of the proposed ordinance can be viewed at www.sensiblefayetteville.com Similar laws have been passed by communities in Missouri, Montana, Washington, California, and Colorado. In Arkansas, a similar measure in Eureka Springs passed with 62% of the vote in 2006. Sponsors state that more than one survey by Zogby International have show that over two-thirds of Arkansas voters support reforms that would reduce penalties for adult marijuana use. Denele Campbell, Executive Director Alliance for Reform of Drug Policy in Arkansas,Inc. "The Alliance" www.arkansasalliance.org [email protected] P O Box 692 Fayetteville AR 72702 "Taking Action on Failed Drug Policy"
A municipal initiative that would add Fayetteville, Arkansas, to the growing list of cities and counties that have adopted lowest law enforcement priority initiatives for adult marijuana possession offenses appears headed to the November ballot after organizers handed in nearly 1,000 new signatures last Friday. Petitioners turned in more than 5,000 signatures on August 20, but after they were examined by city officials, only 3,385 signatures were found to be valid. It takes 3,686 signatures to put the initiative on the ballot. The Fayetteville City Clerk was examining the signatures this week. Even if only 300 of them turn out to be valid, the measure will be on the November ballot. offenses where the marijuana is intended for personal use and request that the federal and Arkansas state governments take immediate steps to enact similar laws." The letter would be sent each year until state and federal laws change. "We needed about 300 additional signatures, and so far, we've collected upwards of 900," Ryan Denham, campaign director told the Northwest Arkansas Morning News last Friday. "We've almost tripled what we needed, and we're still going. We'll turn them in at the end of the day." The two-week final push to get over the hump was the culmination of a months-long campaign, Denham said. "We've been working on this since last November. We've been at the post office, the University of Arkansas and we've been going door-to-door. This is a local campaign, but it's a national issue and we hope people understand that," he said. "A number of cities are starting to recognize what a waste the current policy is," Denham added. "Marijuana arrests are clogging the system and wasting our resources. We'd rather not have an adult arrested for possessing one ounce of marijuana. We'd rather see them cited." Similar laws have been passed by communities in Missouri, Montana, Washington, California and Colorado, as well as nearby Eureka Springs, Arkansas. Petitioners for an initiative making adult marijuana offenses the lowest law enforcement priority on Hawaii's pot-friendly Big Island failed to gather enough valid signatures to qualify for the November ballot, but it is going there anyway. After reviewing the signature count, the county council voted 5-4 to put the measure on the ballot. Led by a Big Island group called Project Peaceful Sky, the lowest priority initiative would bar police from going after people growing 24 plants or less or possessing 24 ounces of marijuana or less. It also orders the county to forego any state or federal funds to be used for controversial marijuana eradication efforts on the island. For decades now, marijuana cultivation on the Big Island and law enforcement eradication efforts -- especially those carried out by noisy, low-flying helicopters -- have been a political issue. In 2000 and again last year, the county council refused federal eradication funds (although the county ended up providing such funding itself last year). Local law enforcement is not happy. Police Major Sam Thomas, who oversees police operations in East Hawaii, worried that the initiative would create "gray areas" that could hurt police anti-drug efforts. "There is so much gray in there, and police officers, we don't do well in gray. 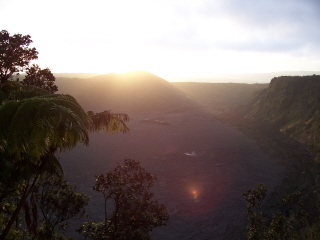 We need to have a lot of black and white," he told the Honolulu Advertiser. Thomas also worried to the Advertiser that growing 24 plants could create windfall profits for growers and that the initiative would hurt methamphetamine enforcement. Now, Thomas explained, when police find pot plants growing outside a suspected meth dealer's home, they can use that evidence to get a search warrant. It wouldn't be like that if the initiative passed, he said. "In this case, if I wanted to use the marijuana as the basis for a search warrant, no, I won't be allowed to do that," he complained. But County Councilman Bob Jacobson, who introduced the council resolution to put the proposal on the ballot, said he wants to see the issue put to a public vote. He told the Advertiser that a number of people had told him they supported the initiative but were afraid to sign the petitions. "Personally, I just believe it needs to be done," Jacobson said. "There are better, higher priorities for police than running around trying to find a few casual marijuana users." Adam Lehmann, an organic farmer, spiritual pot smoker, and board director for Peaceful Sky told the Advertiser there is support for the initiative. "People are really tired of seeing money misappropriated away from education and healthcare to fund a military-style war on a plant," said Lehmann. "It's clearly going to give law enforcement more time and resources to focus on serious crimes. It's going to provide lots of space in our prisons, it's going to help courts run smoother, and it's going to essentially save this county's taxpayers millions of dollars every year," because they will avoid the costs of strict marijuana enforcement, he said. Lowest priority initiatives have already been approved in six California cities; Seattle; Denver; Missoula County, Montana; Hailey, Idaho; and Eureka Springs, Arkansas.